A cool and refreshing Turkish delicacy, this savoury smoothie is made with yoghurt and fresh greens and is perfect for a hot summer’s day. Cook the rice in boiling water for 5–7 minutes until soft. Once soft remove from the stovetop. Add the cut greens and cooked rice into a frying pan and add half glass of water. 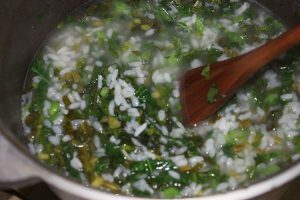 Let the greens and rice stew on a low heat for 10–15 minutes. Once stewed remove the mixture from the heat and let the mixture cool. 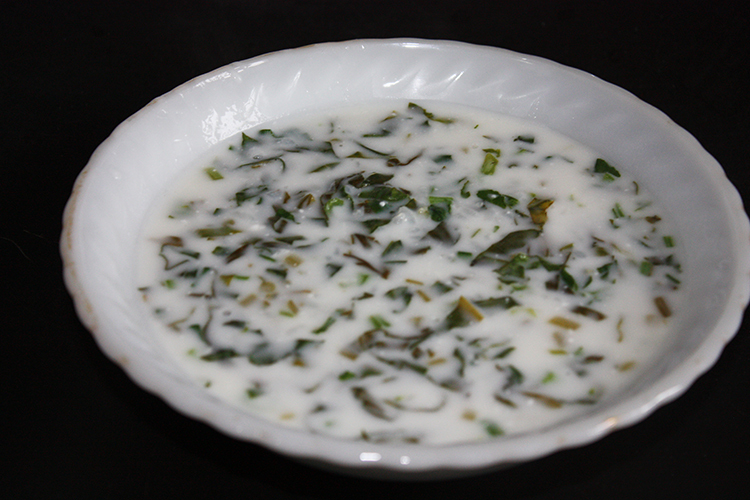 Blend the curdled milk/yogurt (kefir) and the water with a food mixer until smooth. Add this to the cooled rice and greens and mix again. Leave mixture to chill in the fridge for a minimum of 30 minutes and then serve cold.